Mouse, Touch Pad, Tablet & Pen, Tablet PC or Touch Screen. 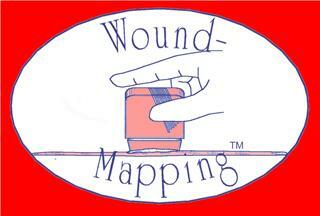 Wound Measurement is Now Fun and Easy! 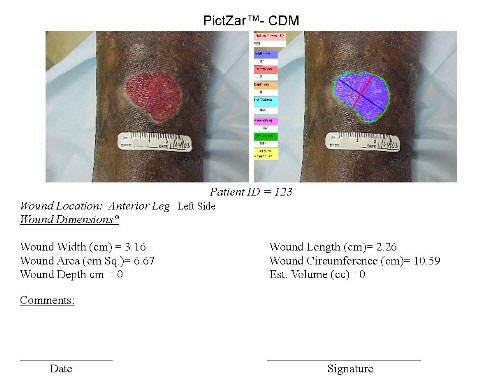 Above Pressure Ulcer Lt. & Measured image Rt. How measurements & data is saved or exported. 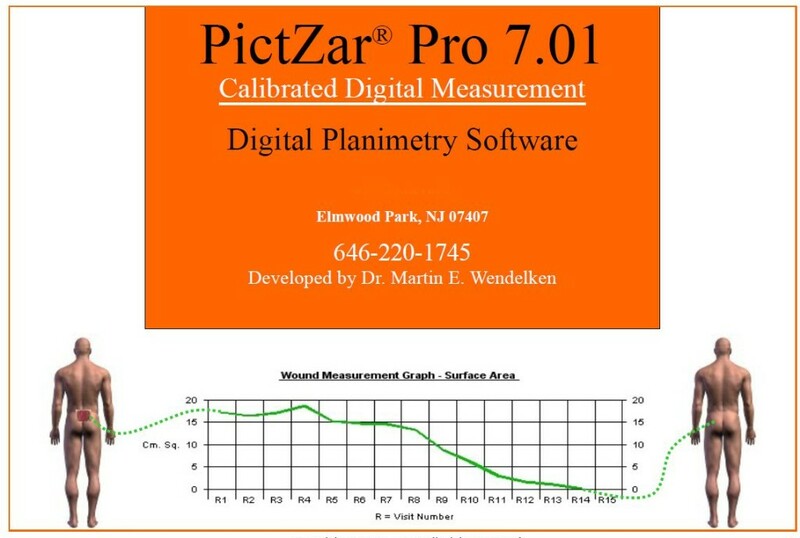 PictZar® CDM is planimetry software that is used to make measurement on digital photographs. 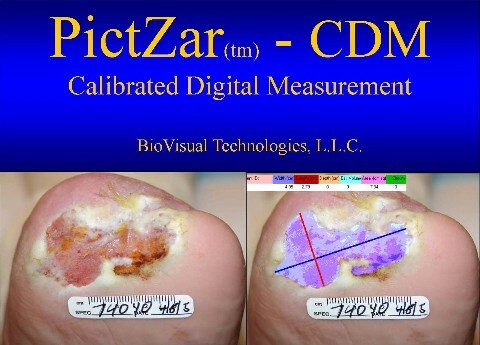 PictZar® may be use to measure wounds and other lesions that may present on the skin surface. This non-invasive tool provides accurate surface measurements which may be archived via digital image or printed on paper using regular inkjet or laser printers. Planimetry is the science of measuring plane surfaces; horizontal measurements. 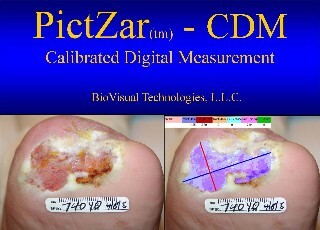 PictZar™ CDM Software provides a unique method of calibrating digital images without having to know the distance between the camera lens and the subject. Length (vertical measurement), Width (horizontal measurement), Area (surface area), Circumference, Depth (added by user), Est. Volume (calculated) Four color areas, and associate various depths with each color, PUSH Tool conversion and graphs. 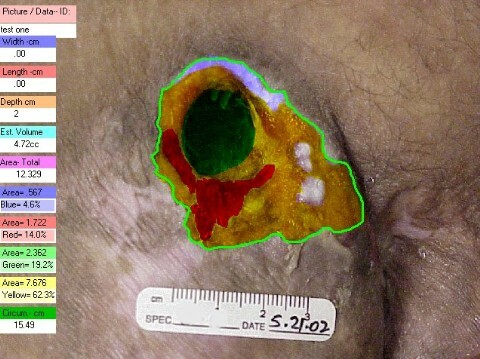 Colors may be used to designate tissue type and therefore track wound changes by tissue type. The measurement data may be saved in a number of ways. 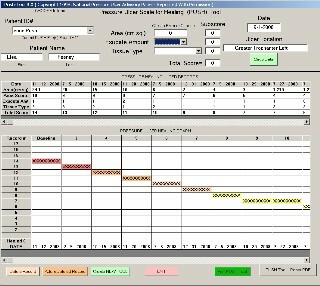 Initially, the data is entered directly on the image (see samples) which is then saved to your hard drive. 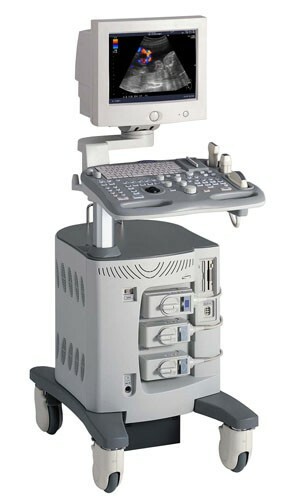 The images (in the form of a bitmap) may be imported to most electronic medical systems. A measured image may be printed using your regular printer along with the data for insurance purposes or to be placed in a medical record. The data may also be exported to Microsoft Word and / or Microsoft Excel, to a PictZar Data file or ASCII file along with the measured image for compiling data on a wound or lesion.